Locally owned and operated for 25 years! 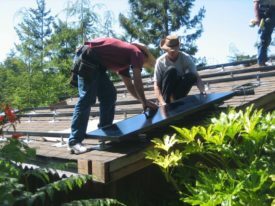 Solar Professionals at Mendocino Solar Service, have installed over 400 systems in Mendocino County. Call us today to see if Solar is right for YOU! “Serving the Solar System” since 1994.